The most likely answer is the floor plan! Irrespective of whether you are house hunting or sitting with your home designer contemplating your renovations or new house plans, you must give this aspect of home design some thoughtful consideration. I have lined up for you 18 of the most avoidable mistakes you can commit with your floor plan. This includes that one single mistake that will make the biggest difference to living in your home. Read along to know about it and avoid this right from the start. 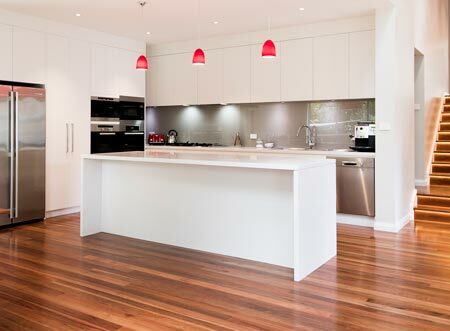 Are you an advocate of open-plan living, or do you like to keep each zone of your home compartmentalised? No matter what your preference, you will need to keep a balance of the open plan areas and the areas that are compartmentalised. This means understanding how both options will impact how the family interacts, e.g. lots of open plan means less privacy but better communication. Consider the way “traffic” goes from one doorway to another doorway though a room or just flows through an open space. If you need to walk across the room diagonally you will struggle to furnish the room well. The furniture layout or function will be compromised. Your front door should welcome every visitor and be readily recognisable from the front of your property, not recessed into a concealed location. Consider if a portico is a welcomed addition to the front of your home to keep your visitors under cover and away from the elements, as well as announcing the entrance of your home. Having a home where a front door opens directly into the lounge room is a mistake. Create a space for your entry and do not let it be an afterthought. Consider sight-lines from your entry/ foyer so that you can maintain privacy when required, and still provide easy access to your entertaining area for guests. If you have toddlers in your home, you will want to keep an eye on them. This may not be possible if their playroom is not visible from the living area or the kitchen. It is a wise floor plan to keep the kitchen proximal to the garden, living area and the playroom; three of the children’s most visited areas. A current style that is popular is the kitchen island bench. In the right space and with the right dimensions and style these can look fabulous. When the design accommodates an island bench, it usually impacts the amount of bench space available or the circulation of the family around the work area of the island bench. Another current style in the kitchen is to have a sink or cook top in the island bench. If this space is one that people will gather around consider the implications of either of these two functions. The sink will have a collection of unwashed dishes and saucepans gathering as the meal is prepared and completed. The stove will have safety considerations for anyone sitting close by as well as the issues associated with exhausting the cooking fumes and steam. There are under bench exhaust fans which a quite costly and overhead exhaust hoods which may ruin your aesthetics of clean lines. The toilet or powder room opening directly on to the family room is a common mistake in floor plans. It is important to strategically position the bathrooms so that they are easily accessible for convenience yet positioned for privacy. A convoluted passage way to the stairway, which gives access upstairs to the private areas or downstairs to the garage, is a compromised floor plan. The stairway should be near the front entrance. If the stairway is more centrally located, it is also an effective way to bring light downstairs deep into the home. It is quite costly and a poor use of resources to replace perfectly good furniture simply because it does not fit in your new floor plan. Measure the dimensions of the furniture you wish to accommodate and give these to your designer. Alternatively, when the designer does the measure-up prior to planning a renovation give them the pieces you want measured and considered. People often start a collection of images when starting to plan a renovation or new home. This will help to show your designer the flavour of what you would like. The trick comes when you want to use the exact details of some of the images, but they do not suit your home or its surroundings. For example, French Chateau style in the suburbs of Sydney may well look out of place. Formal spaces are used much less often these days as we have moved to the open plan family areas and outdoor entertaining areas. Home theatres, billiard rooms and swimming pools are specific family requirements and may be under-utilised by some families. Consider how you like to live in your home and how you like to entertain. Will you gain sufficient benefit from these spaces or can they be utilised for other purposes? Consider the resale of your property and what the market is currently seeking and what is most likely in the next 10 years or so or when you decide to sell. Voids can be quite expensive as they cost the same per square meter as if there was this amount of floor area upstairs and downstairs. Therefore, does the void add to the feel of the space and type of natural light coming into the house or is it just a left-over space? The idea of a void can be excellent, yet many homes have a dishevelled design of their void and this detracts from the feel and function of the space. People often get caught up in the excitement of planning renovations and new homes that they lose sight of their budget. This is especially true once the builder starts building. Unless you have sufficient funds, your renovation is not likely to be the time to have every inclusion or luxury item you have always wanted. This holds true even if this is going to be your forever home. You should get the structure to meet your immediate and long-term plans. This helps with your budgeting and saves you money in the long term, too. You can then leave some of the expensive cosmetics or adding the pool, until you have more funds. The access to building your pool before and after your renovations is vital to consider before making the decision to delay or act now. Buying a property with the best orientation can save you a considerable amount of money with energy efficiency and, give you a comfortable home in all seasons. Having your family spaces and windows facing north ensures good natural light and warmth when the sun is at a lower angle in the winter. In the summer the sun’s arc will travel above the house protecting you from the sun’s direct rays. If your home, for example, has a western orientation you will find your cooling costs will be more expensive especially in the summer. If you have a southern orientation for your living spaces, you will find a high level of heating is required in the winter or it is just quite uncomfortable. Often in renovations the orientation cannot be altered. In this case a proper understanding of environmental considerations and opportunities can help offset a suboptimal orientation. 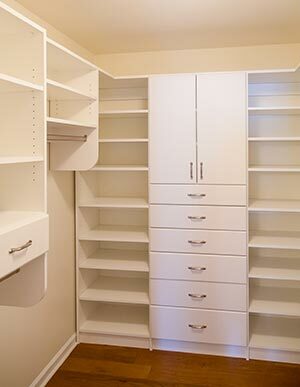 Styles with clean lines and less clutter especially require adequate storage to have a place for your goods. Every home needs storage whether it is the linen cupboard, workshop in the garage or just wardrobes. A garage is a great utilitarian space however from an architectural standpoint it works best when kept low key or, if possible, hidden from the view at the front of your property. The entry door should be the feature where eyes from the curb should first fall and not the garage. This is true even for the most stylish garages. Kids are noisy, at least at sometimes in their lives. Dampening the noise from running feet and loud play can be quite relaxing for the family. We can achieve this with architecture or furnishings. Reselling is a practical proposition and giving the thought a miss can be a critical floor plan mistake. Improvise to your heart’s content. Give it your personal touch, but keep form, scale and design universal in its appeal. Otherwise you will unwittingly narrow down the horizon of prospective buyers in the future. This goes for both the structural and the cosmetic arrangements you make in your home. As a home designer in Sydney, I take great care to consider a floor plan from all the possible perspectives. As an owner-friendly designer, I keep the floor plan at the top of my priorities, but more importantly we consider and plan all aspects of a renovation from concept to approval. If you are considering a renovation to your home, contact me today. I will be very glad to join you in pursuing your dream.